Every river has its source and a journey of a thousand miles begins with one step. Talking about journeys, many of us know of His Excellency Uhuru Kenyatta as a privileged son of Kenya’s founding father – a man who had it all. Well, while that is partly true, did you know that he spent most of his 20s selling vegetables? Or that he worked as a bank teller earning a humble monthly salary? This story is not meant to intimidate you but to shower you with confidence and hope that you can start pursuing your dreams right now, no matter how little they are, and still make it in life. Right after finishing his campus education, young Uhuru got a job at Kenya Commercial Bank, Kipande House Branch where he worked as a teller. Different sources indicate that he earned Ksh600/- per month and although we cannot authenticate that, it is indeed true that this was a job like any other and that the young man did not enjoy any special privileges owing to his social status. 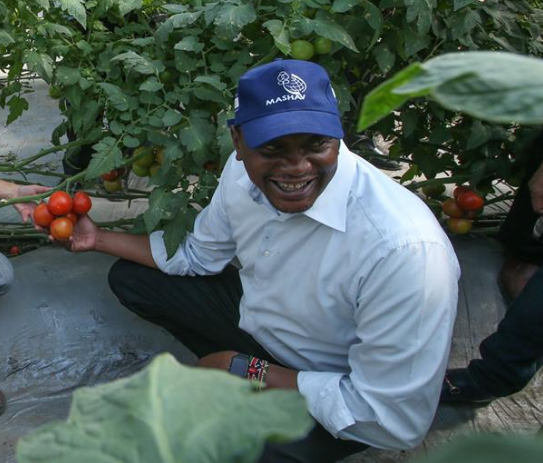 After working in the bank for a brief period of time, aged 28, Uhuru left and set up his own business of selling vegetables. This again was contrary to many people’s expectations especially given the negative perception that is associated with farming business against white collar jobs. And just like most of us, he had to deal with the usual problem of “lack of capital”. In order to scale up the business, young Uhuru was involved in the day-to-day running of the business. This helped him understand the hustle better than everyone else and that meant he could maximize on available resources to grow the enterprise even better. Six years after starting, the company (Wilham Kenya Limited) had grown into a multi-million investment owning several lorries and pickups. The business network had also expanded vastly both abroad and locally…and he sold it for a “decent” profit as he prepared to venture into politics. Faced with the challenge of lack of capital, the young entrepreneur then knew he had only one bullet remaining – and that is hard work. He would wake up earlier than everyone else, and sleep in late hours. In a recent TV interview on Jeff Koinange Live, one of his close counterparts from the early days, Cyrus Jirongo, told the interviewer of how Uhuru would wake up at the crack of dawn to milk cows. But why share this story? The goal is to inspire the next great entrepreneur who may be out there wondering where to start from. Even the man whose prosperity we all talk about today started off just like you. As you can see, in order to grow a business you only need three things (a)A vision (b)Willingness to work hard (c)Passion. Who would have thought the multi-million agri-business venture we see today was started on the back of an old pick-up! And you don’t need to have a pick-up either. We have seen people start businesses with absolutely nothing in the pocket. We have seen people create multinationals from briefcase companies. You have absolutely no reason to fail in life. Only be prepared to do the dirty work first so that you can dig out the gold. Walk out of your comfort zone and work harder/smarter than everyone else.